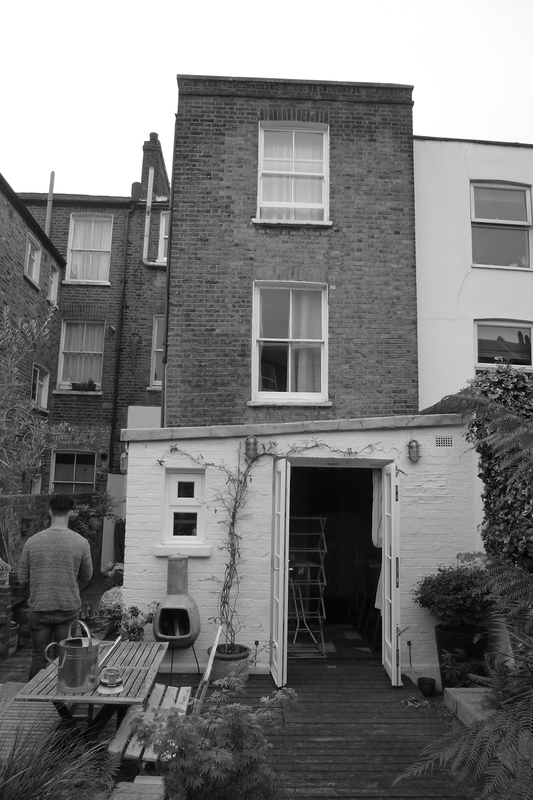 We recently obtained planning consent in the London Borough of Lambeth, for this single storey wrap around rear and side extension, to a ground floor flat in Gately Road, Brixton. 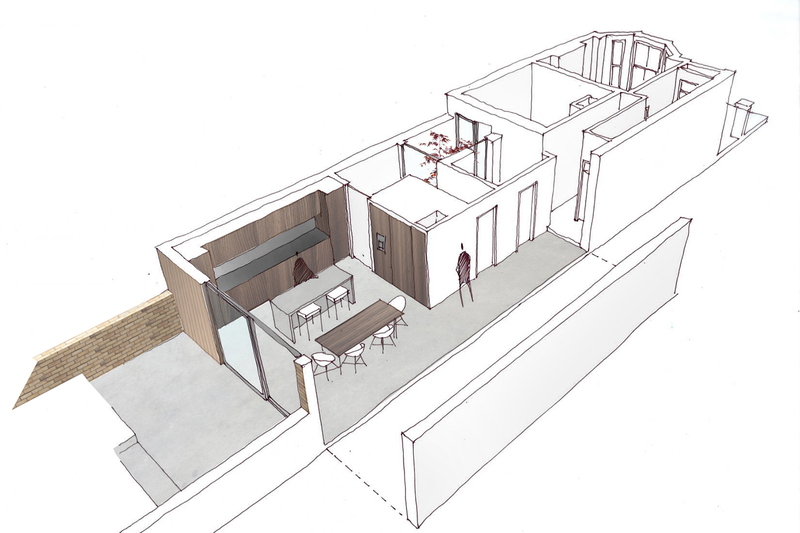 Our proposals look to extend and reconfigure the 1-bed flat, to provide a larger kitchen, dining and rear living area, whilst the use of an internal courtyard will maintain light into the bedroom. 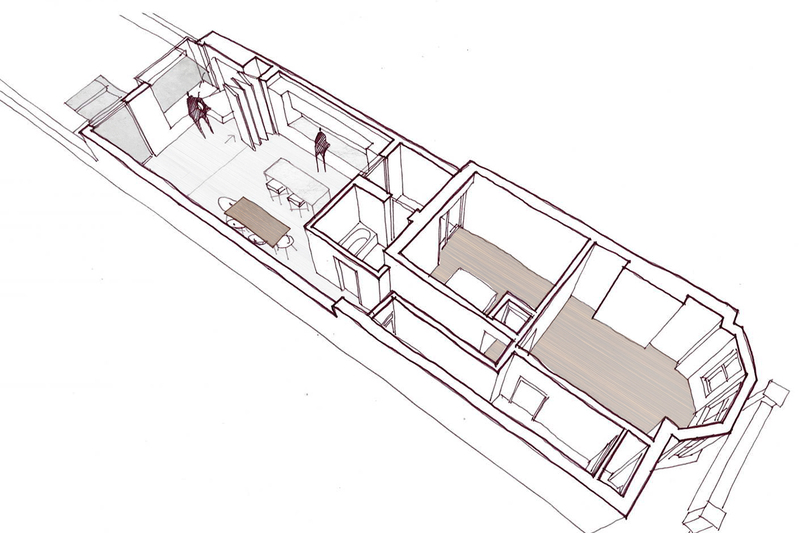 We are also inserting a study/dressing area, with space for a fold down bed, to allow for a guest to sleep over. A palatte of brick, metal cladding and polished concrete floors provide a chic urban feel to this project and clever use of storage and flexible space, means the end result will be a stylish practical apartment. 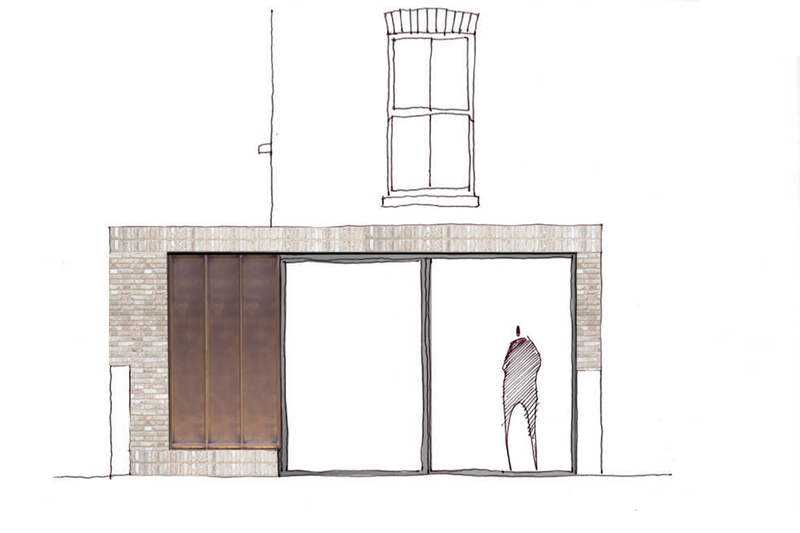 Work is progressing with finalising the design and choice of contractor ready for a start on site late 2018.